Pets are permitted at this park. Go 6.5 mi. NW on Hwy 108, at Mt. Mansfield. Picnicking: There are picnic areas available at the park and in the surrounding area. In 1807, President Thomas Jefferson passed an embargo act forbidding American trade with Great Britain and Canada. This was a severe hardship for northern Vermonters, since Montreal was closer than other markets in the US. Many local people continued illegal trade with Canada, herding cattle and carrying other goods through the Notch. Later, fugitive slaves used the Notch as an escape route to Canada. During the Prohibition years, liquor was smuggled from Canada over the improved road built in 1922. Most sites are walk-in and not accessible by vehicle. For this reason, as well as the narrowness of Route 108 north of the campground, there are very few spots at the park that can accommodate RVs. 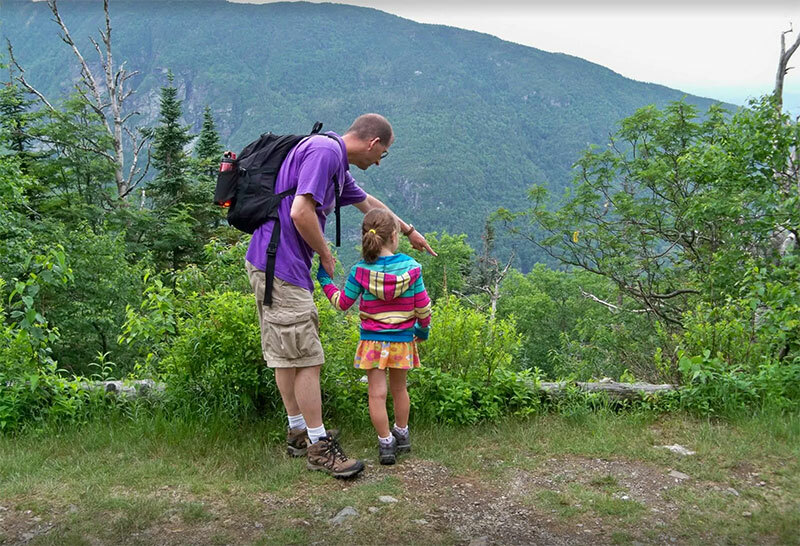 Smugglers’ Notch State Park is not confined to the campground. Just outside the gates lies a scenic corridor full of adventure. Starting at the Barnes Camp Visitor Center, the 3.5-mile long scenic highway brings visitors though a steep and winding pass filled with beautiful vistas and recreational opportunities. Visitors can stroll along the wetlands boardwalk near the Barnes Camp Vistor Center or begin a hike on the Long Trail. The Smugglers' Notch Picnic Area, set by a beautiful stream, is further up the road. History buffs will enjoy checking out the fireplaces built by the pioneering conservationists of the CCC. Other great hikes include the challenging Hellbrook Trail and the popular Sterling Pond Trail.